First of all I apologise to any regular readers of these jottings! I had intended to move on from the current media preoccupation with plastic pollution in the oceans but this report last week, in my opinion, cried out for further analysis. A recent Guardian article highlighted the death of the Cuvier’s Beaked Whale which had starved to death due to the 40kgs of plastic in its gut making it impossible for the whale to digest real food. 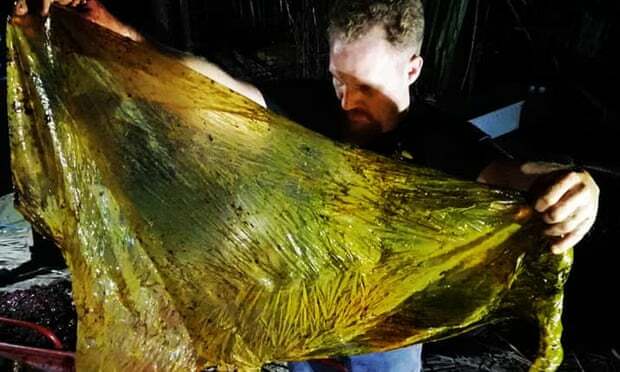 The article went on to say that marine biologists from the D’Bone Collector Museum in Davao City in the Philippines have dealt with 61 other whales and dolphins deaths over 10 years all in the waters surrounding the Philippines. Based on the number of these deaths it should be asked ‘Why is this particular death significant?’ other than it is the largest volume of plastic waste yet found in one mammal? The population. China has 1.4 billion people, 60% of which live along the Yangtze River (800 million). The population of Indonesia is 180 million people; 50% of which live on the coastline (90 million). The population of the Philippines is 106 million, 62 million of which live in the coastal cities. Is there any wonder in these circumstances that the whales/dolphins/turtles in these waters swallow plastic bags instead of jelly fish? What is this plastic waste? Equally important are the constituents of the hundreds of plastic items swallowed by this whale. The majority were apparently rice sacks, banana bags, plastic bags and flip-flops! The first two are obviously items widely used in these regions, but I suggest the ‘flip flops raise an even bigger issue. 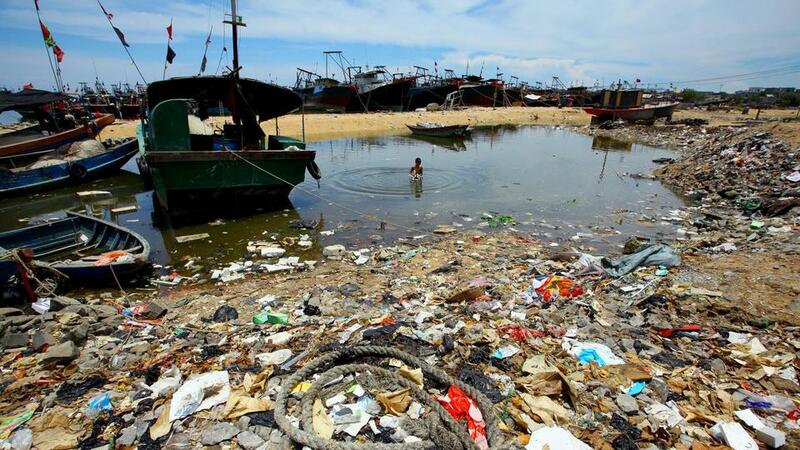 We know all this plastic debris arises from the practice of these countries simply disposing of their domestic refuse by just bulldozing it into the local rivers and surrounding seas, to enable it to ‘disappear’ with the tides. However, as plastic is less than 2% by weight of domestic waste (UK figure). Thus 98% of what these countries dump in the Pacific and Indian Oceans must be all their other domestic waste. In essence, they dump millions and millions of tonnes of other rubbish, all of which must contain pollutants, but which is never mentioned, presumably because it’s not plastic! What can we do about the environmental vandalism? The first thing we should do is to stop deluding ourselves with the idea that if we reduce our use of plastic this will somehow solve the problem of plastic pollution in the World’s Oceans, this simply is not true. Secondly, I find it difficult to believe but the UK provided financial aid to China of £49 million in 2017! In addition, we also provided financial aid to Indonesia for support of various projects in water filtration, forestry conservation, carbon capture and sustainable land use. Whilst it is difficult to find any direct financial aid from the UK to the Philippines (other than disaster aid). The EU contributes over 120 million Euros per year through various enterprises and charities. Thus the UK must pay our share of these monies. Surely, as a consequence, we should be using any influence these payments give us to apply pressure on these countries to stop waste dumping in the seas. We could discontinue giving financial aid until some action is taken. We could also have some positive influence if we tried. If our government, media and the BBC seriously promoted the ‘Cure’ for plastic pollution in the oceans i.e. stop these countries dumping their waste, rather than simply report on the Symptoms of dumping which are more dead whales, dolphins and turtles. At that point we might at last see some progress. Meanwhile we simply report the consequences of this massive plastic pollution as if it were an Act of God or some natural phenomena of which we can do nothing about, rather than a pollution problem that we can at least help fix relatively quickly. Contact Woldpac at any time for packaging assistance and guidance. Copyright © 2010-2019 Woldpac. All Rights Reserved. Digital assistance from Taybridge Consulting. You have come to the right place for expert guidance. We work with clients who need advice on what’s the best type of packaging for their product or business, for retail or for exhibitions. Call for guidance, no packaging job is too small and we thrive on low volume projects.